Anyone who has ever stared for hours at a blank laptop screen or surfed a deadline on to the rocks would be forgiven for feeling aggrieved by the serene, steady progress of Haruki Murakami. When at work on a novel, the Japanese author adheres to a strict daily routine. He rises at dawn, writes through the morning and then takes a 10km run in the afternoon. Eventually, he says, the writing and the running become indivisible, a “form of mesmerism” that serves to cast the author as a semiconscious agent in the forward movement of the narrative, or an observant traveller through pre-existing terrain. As an added bonus, this helps to fireproof the work against criticism, implying that any perceived failings — any missteps, soft patches or unexpected detours — are simply part of a book’s natural pattern. Murakami does not know entirely where he’s going and believes that’s as it should be. When you take the scenic route, you must expect some twists and turns. Killing Commendatore, appropriately enough, charts the course of a man on the run who finally circles back towards home, dropping and retrieving narrative threads on the way (the book’s end point is revealed in the opening few pages). Its unnamed narrator is a 36-year-old portrait painter escaping the wreck of his marriage, in flight from his own emotions and contemplating a lonesome samurai-style existence in the mountains outside Odawara in central Japan. But the world, and the spirit world, keep rattling at his door. There is a mysterious bell that rings in the woods every night and a mysterious painting (Killing Commendatore, inspired by Mozart’s Don Giovanni) kept under wraps in the attic. Before long our hero’s remote retreat has become as busy as Grand Central Station, or a metaphysical Cluedo mansion in which each arrival comes armed with an opaque but important new piece of information. In a more conventional plot these pieces would eventually resolve themselves into a definitive photorealist picture; the kind Murakami’s narrator prides himself on producing. Here they are more likely to be dripped on to the canvas in the manner of an airy, swirling abstract painting. Paul Klee once described the act of drawing as “taking a line for a walk”. No doubt Murakami views his writing in much the same fashion, as a creative ramble, as illuminating for himself as it is for his reader. His line zigzags, takes tangents and doubles back on itself. The view changes so often it’s hard not to feel turned around. Sometimes, reassuringly, Killing Commendatore runs across ground the author has mapped out before. Its gallery of spirits, for instance, can be compared to the “Little People” he deployed in IQ84 , while a mystical descent into a dry stone pit is a familiar Murakami trope, most conspicuously showcased in The Wind-Up Bird Chronicle. At other times the book trespasses freely on to neighbouring property. Its principal subplot about a charismatic millionaire who buys a mansion across the valley from the girl he believes to be his daughter provides a neat, knowing twist on The Great Gatsby (right down to the stilted first encounter at the narrator’s home). But the book’s more pulpy elements made me think of Stephen King’s 2008 bestseller Duma Key, another tale in which an artist flees his former life only to discover that paintings are magic portals and that the ghosts of the past refuse to lie quiet. Murakami, thank heaven, makes no great distinction between the high road of literary fiction and the low road of pop culture. He knows both are worth exploring and that each has its pleasures. The issue, then, is one of navigation: those frequent changes in the tale’s direction of travel. Inside his rented home, the reclusive narrator is visited by Menshiki, the enigmatic tycoon from the big white house across the way, and by the living ghost of the house’s former occupant, who once tangled with the Nazis in 1930s Vienna. But his solitude is also gatecrashed by the Commendatore himself, a two-foot tall gremlin with a face like Edward G Robinson’s, who hops out of the painting claiming to be “an Idea” and darkly warning against double metaphors. Absurdity piles on absurdity. The tale grows more antic as the chapters mount up. As ever, Murakami is brilliant at folding the humdrum alongside the supernatural; finding the magic that’s nested in life’s quotidian details. Yet on this occasion he allows his disparate elements to spin out too widely, to the point where they begin to appear only tenuously connected. Who are the spirits? Who are the real people? 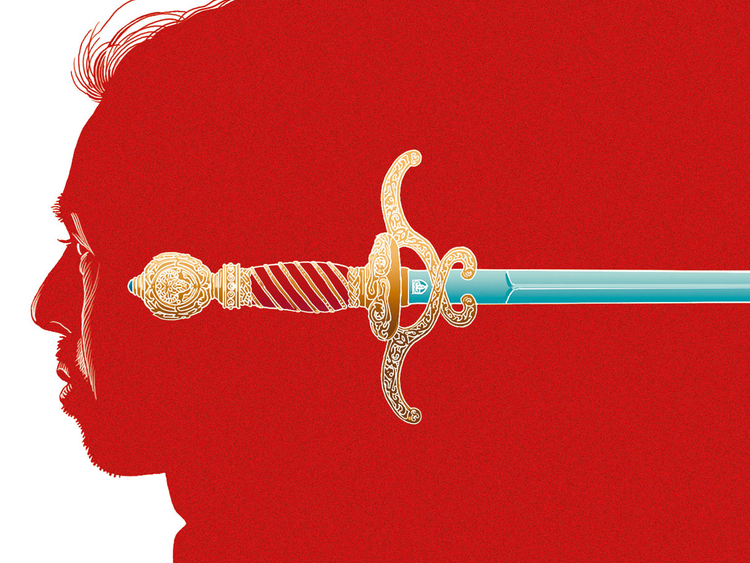 The hero’s married lover amounts to little more than a dispenser of expository dialogue and sexual favours (indirectly responsible for the book being classed as “class two indecent” in Hong Kong). Worse, the gnomic, fantastical Commendatore turns out to be a more rounded character than Menshiki’s reputed daughter, a preternaturally self-possessed 13-year-old who speaks as though she’s been fed through Google Translate. Significantly, Murakami’s painter likes to leave some of his portraits unfinished. One has the sense that the author does, too. Murakami, as is his habit, shares a number of interests with his unnamed narrator (the films of Akira Kurosawa , the albums of Bruce Springsteen). Let’s assume he shares some of his uncertainty, too. 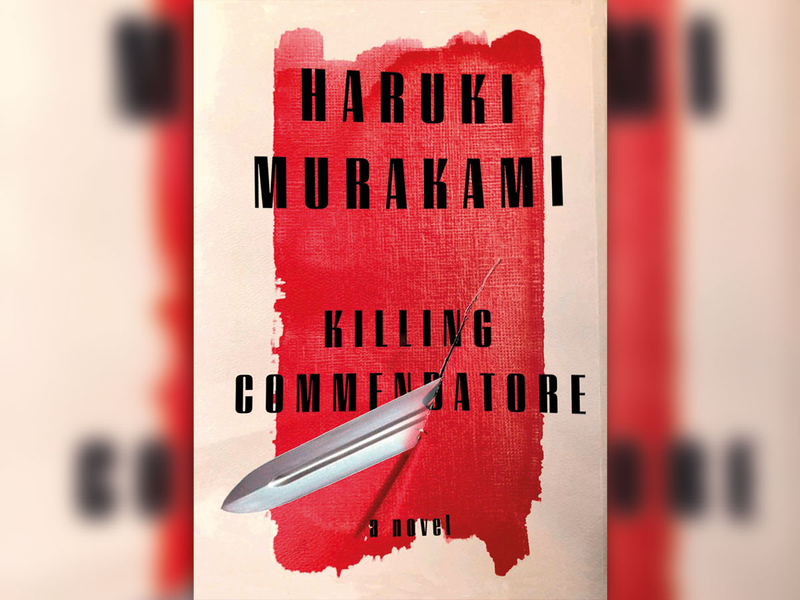 As such, Killing Commendatore, his 14th novel, feels almost like a debut. It’s a voyage of discovery, loquacious and digressive, largely making itself up as it goes along. The deeper into the woods it progresses, the more abundantly woolly the scenery grows. I suspect a real first-time novelist would probably start to panic at this point, desperately attempting to impose some order on events. But Murakami is happy to exist in a state of flux, entirely unperturbed by the circuitous course he has taken. His pace remains easy and unhurried. His prose is warm, conversational and studded with quiet profundities. He’s eminently good company; that most precious of qualities that we look for in an author. We trust him to get us entertainingly lost, just as we trust that he’ll eventually get us home. Xan Brooks’s The Clocks in This House All Tell Different Times is published by Salt.